This book examines the phenomenon of online drug and drug paraphernalia sales, drug recipes, and information about drugs. Discussing the availability of products and advice regarding prescription drugs, steroids, and illicit drugs, the book also offers a profile of who is buying, selling, and sharing these products and this information. Additionally, Hawking Hits on the Information Highway examines the rise of drug testing as a vehicle of the war on drugs, and looks at how the Web has been used to market products and tips for cheating on drug tests. 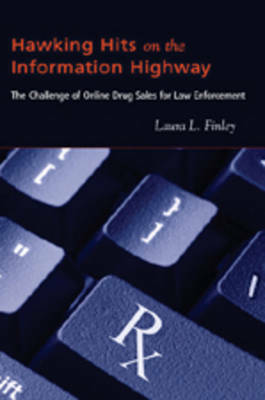 The book identifies the challenges for law enforcement and other bodies in policing the Web, and details how Internet-based sales are altering the war on drugs. This groundbreaking book will particularly benefit students in college courses specifically addressing drugs, criminology, and law enforcement, and will be useful in any course examining wider social issues.